Don't be fooled by the vintage feel of this high-end tee shirt! 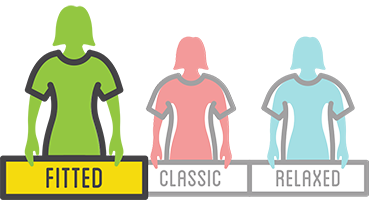 Our District Women's Perfect TriBlend Tee captures the old school feel of your favorite cotton t-shirt but combines the cotton with the strength and softness polyester and rayon. Its unique tri-blend fabric creates a soft, heathered appearance and makes this shirt feel broken in from day one. But don't worry! This TriBlend Tee will hold up for many, many washings and wearings. This shirt features a slightly open crew neck and a tapered, flattering feminine cut. Though a little pricier than some other tee options, this shirt is still an exceptional value for its extreme comfort, unique appearance and fantastic durability.